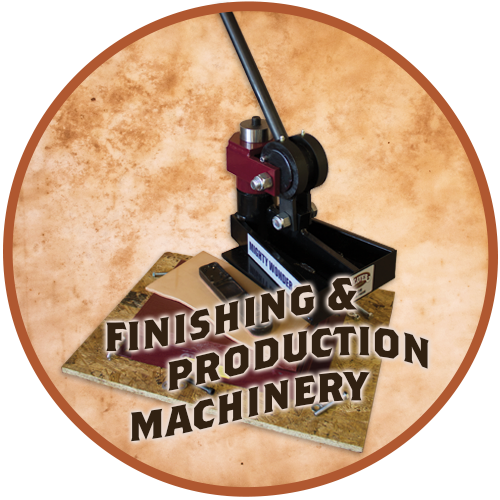 Leather Machinery is an integral part to leather crafting, especially if you're looking to take it from hobby to business or you're looking to complete more ambitious projects. 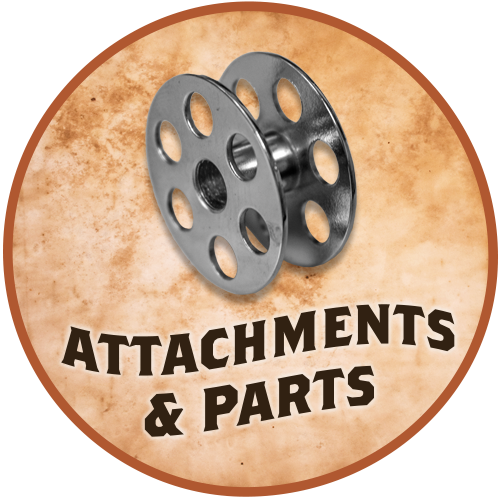 From sewing machines to clickers and all of their parts, we have amassed a collection of the essentials. This page is dedicated to educating you about the leather machinery that we have, how best to choose your products and information on purchasing and using the machine. Below you will find links to all of the categories of machinery that we offer, as well as text and video on the subjects of selecting, paying for and setting up your new equipment. 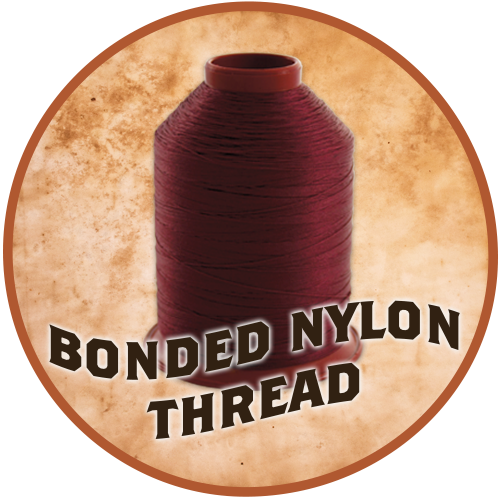 You can find more information about each product on their individual pages and more information about sewing machine techniques on our YouTube channel. Of course, if you still have a question about machinery, feel free to contact us. For more information on financing and international ordering, please visit this page. We're going into detail about all of the things to consider before taking the plunge. Get a more condensed version in the video below! After this, we'll talk about the purchasing! There are a few things to consider when you are purchasing a sewing machine. First and foremost, no matter where you buy a machine, you need to answer the following questions: Who is going to stand behind the machine? Will you need to ship it overseas to fix it? What is the warranty? Who is the warrantor? Will you be able to communicate with your vendor or warrantor effectively? In other words, consider your cost and convenience. You must also decide if you would like to become a sewing machine mechanic of sorts. If you are not adept at fixing things or you're not interested in becoming an expert at repairs, it's in your best interest not to buy a used machine. Otherwise, you'll be stuck with a machine you can't use or you'll be forced to pay for outside help. A servo motor works a lot like a gas pedal in a car -- the harder you push, the faster you go and so on. Modern machines will even allow you to set a maximum speed so that the machine works just the way you like. A speed reducer is important, not only for the usefulness of its namesake, because it increases torque. That means you can sew through heavy material even at a low speed. 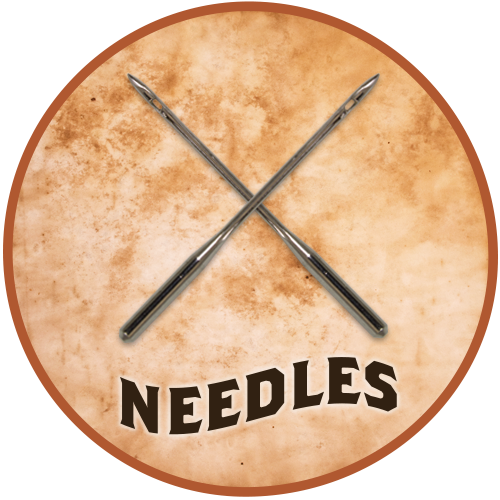 Without a speed reducer, there won't be enough torque to carry your needle through multiple layers of leather without a lot of help from you. Most used industrial machines come with clutch motors, which do not give you control over the speed: 0 to 100 real quick! A compound walking foot is great because it walks across your material instead of holding pressure on top of your material, which can cause bunching. This walking method makes it great for thick materials as well as thin. 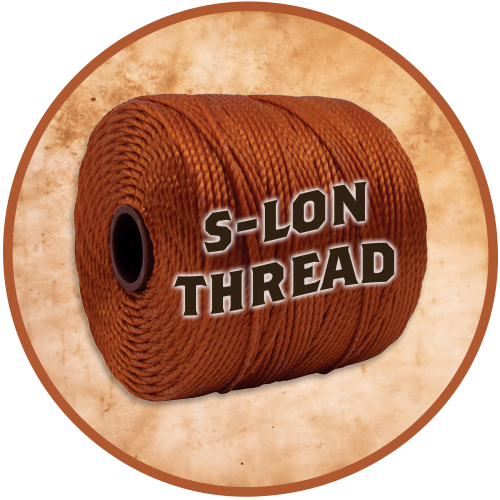 A geared roller foot draws material through with two wheels on top and bottom, giving you a consistent stitch. It also goes over existing stitches better than non-gear driven roller feet. All machines are not created equal! And they all have a specialty. Pick a machine based on what you need to make. Flatbed Machines - work well for chaps and chinks, wallets, some bags, upholstery, belts, tarps and everyday basic sewing. 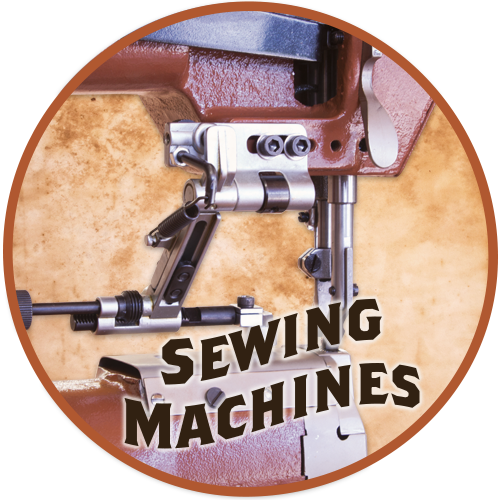 Post Machines - great for wallets, bags, upholstery, belts, garments, sewing patches onto jackets, decorative stitching, hard-to-reach stitching and everyday basic sewing. Heavy Cylinder Arm Machines - great for belts, holsters, sheaths, saddle and tack, tarps and very thick materials. The machines we carry are ones that we use ourselves. That's why we know so much about them. So, if you have questions about choosing a machine, by all means, come into the store or contact us! Now that you know how to pick one, let's talk about the logistics: cost, shipping financing. Obviously, we would love for you to buy a machine from us. We offer only new machines at the lowest cost possible. However, we understand that that may not be an option. Nevertheless, we're still here to help! If you're considering buying from another store or if you're buying used, give us a call with any questions or concerns you might have about the machine you're purchasing. We can't tell you what shipping will be with other people, but we will ship sewing machines for a flat rate of $200 to business addresses with a dock in the contiguous US (exlcudes Alaska & Hawaii). For clickers and other items, please give us a call at 1-800-668-8518! Sewing machines are an investment! We know that the hefty up-front cost can be intimidating, but we're here to help! 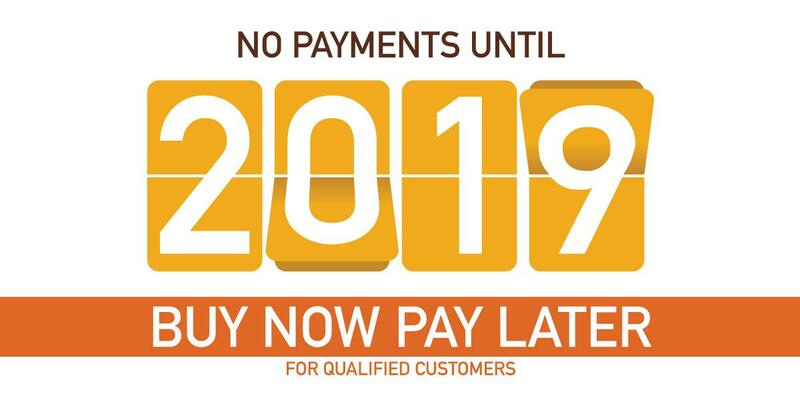 We have financing options through QuickSpark! Learn more about financing here. So! You have answered all of the questions, you've chosen your machine and now you have it! But how do you use it? Check out the video below where Kevin and Rusty talk you through setting up a machine and running you through some scenarios! This playlist includes instructional videos from Rusty on threading a Cobra Class 20, Cobra Class 26 and Cobra Classes 3 and 4. For even more information on sewing machines and techniques, check out our YouTube Channel.